Hi friends! This week I made two cakes and they coincidently had the same sort of artsy theme. They were two different style of cakes but both had the feel of paint. I was a bit intimidated by them at first, since I don't see myself as the "artistic" type, even though cake making is a sort of art. But when it comes to painting, I don't feel like that's my strong suit and these cakes definitely reminded me of painting! I knew these cakes would be fun to make so I reminded myself of that along the way. 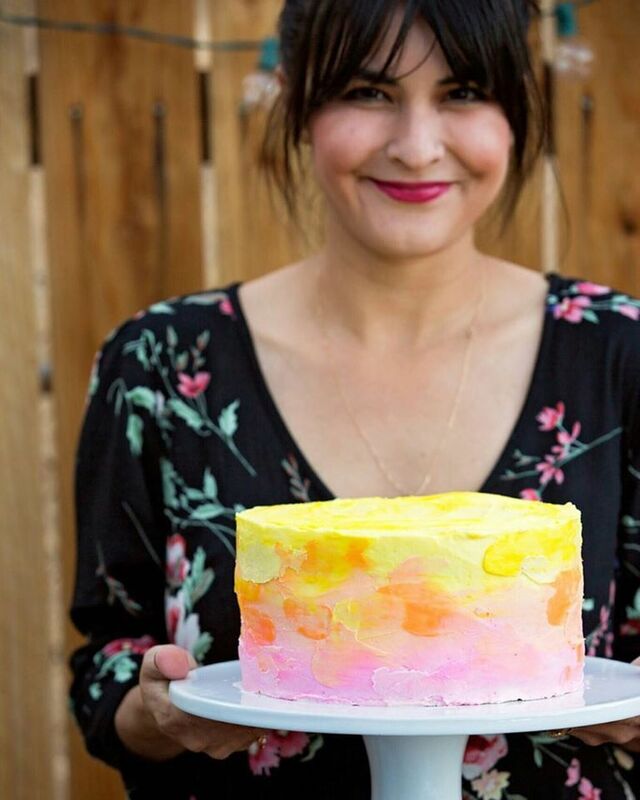 I made a baby shower cake for a baby girl and the cake was fun, and bright! The bottom tier reminded me of paint stokes on a painting. 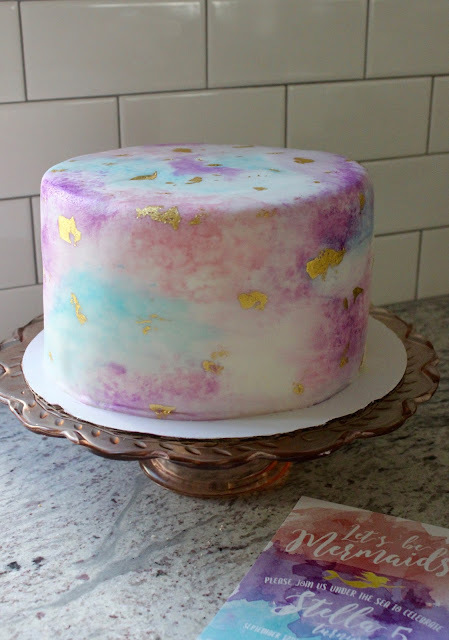 The colors on the bottom tier were a combo of bright and subtle colors and surprisingly went well together. 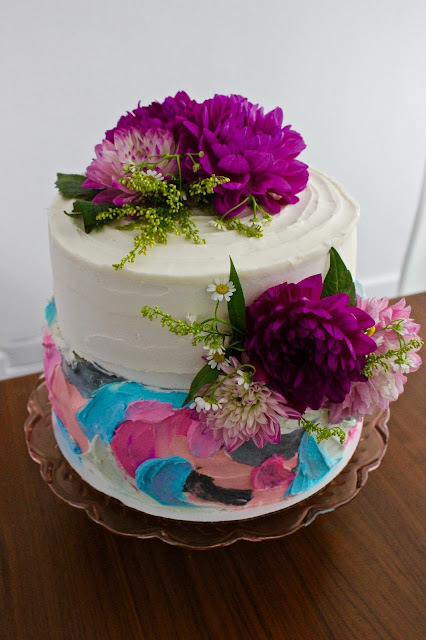 And of course the fresh flowers add another element of freshness and also add more color to the cake. As for the other cake I made this weekend, it was for a girl's 5th birthday party and the party's theme was mermaid. They mentioned they wanted a watercolor cake, and had beautiful invites for me to get inspiration from. It was so fun to make and i loved the look of this so much. I know this won't be the last time I make something like this! I got the tutorial from brit+co and it explains it so easily, and now its now one of my favorites!